The rhythm of life is a quiet beat. For most of us, our day to day may feel dramatic, but to the outside eye, it likely lacks the energy and histrionics that we perceive from within our own sphere. This is something that filmmaker Kelly Reichardt seems acutely aware of. Her films, even when drawing from events that seem ideal for a fiction plot, operate at a familiar tempo. Take her last movie, 2013’s Night Moves [review], about eco-terrorists--it’s told less like a crime film and more like a personal drama. Reichardt doesn’t feel the need to dress it up. 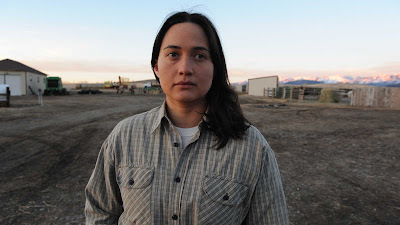 It seems only natural, then, that the director would turn her lens on genuinely quiet lives for 2016’s Certain Women. 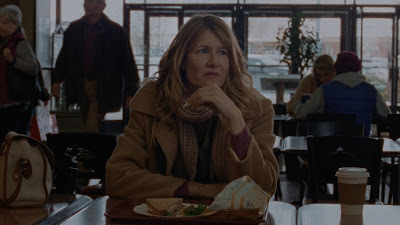 Working with stories from author Maile Meloy, Reichardt stitches together tangentially connected tales of four different women living in rural Montana. Laura Dern (The Master [review]) plays a personal injury lawyer whose lover (James Le Gros) is married to Gina (Michelle Williams, Reichardt’s muse in both Wendy and Lucy [review] and Meek’s Cutoff [review]), a mother adrift and in search of a natural experience. Gina’s path takes her by the ranch where a lonely Native American woman (Lily Gladstone) works, and after the girl makes a connection with Elizabeth (Kristen Stewart, Clouds of Sils Maria [review]), a young teacher, she also ends up brushing up against the lawyer. 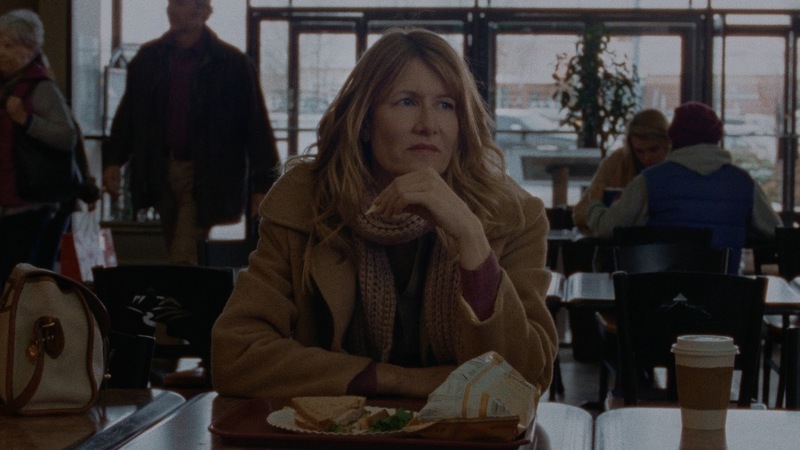 Certain Women is essentially a movie about striving to connect with other people and not quite succeeding. In each section, the characters find themselves trying to form a meaningful bond with someone, and not having it go as planned, be it a coworker, a family member, or in the case of the ranch hand, we’re never quite sure if she is looking to Elizabeth for romance or friendship. It doesn’t really matter. All that counts is that she has found someone she can talk to, and who talks to her in turn. The film’s most vulnerable moment is when the rancher brings her horse to give her teacher a ride to post-class dinner, a grand gesture to both let Elizabeth into her world but also carry her into another of their own making. These are women who somehow don’t belong--the lawyer who feels she’s stuck in a man’s game, the mother whose family only indulges her, the farmer looking for a friend or maybe lover--and where each of them stumbles is in trying to carve out space for another, to find a sense of belonging by inviting someone else to their side. What keeps Certain Women from being a downer is how resilient each character is despite their failure. In the lawyer’s coda, she tries to make amends with the client she couldn’t help (Jared Harris, The Curious Case of Benjamin Button [review]); in Gina’s, she steps away from her family to enjoy a moment by herself. Michelle Williams is a soulful actor, and she can do more with this silent reverie than most of her peers. There is relief in her expression, in her body language, in her breathing--relief tempered by the weight of all that she still carries, it never leaves her shoulders, she never fully relents. Williams is perhaps so successful in her collaboration with Reichardt because she makes the most use of the space the director provides her. The actress seems to carry her every life experience into the film with her. Not that her costars are slouches. Laura Dern tempers gravity with compassion, and Kristen Stewart’s distracted energy serves well to give her an aloof allure that draws the audience to her as much as it does the ranch hand. 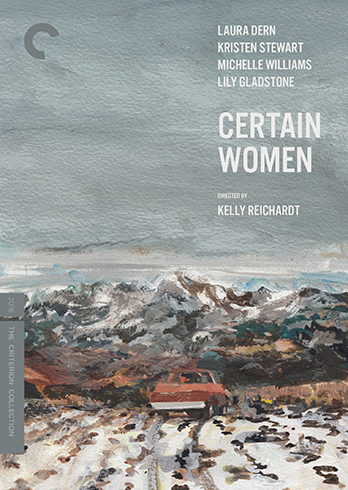 For her part, relative newcomer Lily Gladstone is a convincing observer, letting Stewart work around her, patiently establishing the interest her character has in the other woman. This also might be a good way to describe Reichardt’s storytelling style: patient interest. She is content to just hang back and let the action unfold. Which isn’t to say she isn’t thinking about the image frame or an artfully composed shot. Right from the get-go, with the strikingly arranged divisions within the apartment that separate Laura Dern and James Le Gros, we can see that Reichardt and her longstanding cinematographer Christopher Blauvelt (The Bling Ring [review]) know that just because life is quiet doesn’t mean it can’t be beautiful. That’s why sometimes it might feel like they just set up the camera and let things unfold, like leaving it behind in the wilderness and recording nature as it happens. When all is said and done, what sits with you about Certain Women is how intimate it is. Reichardt has let us in to share some of her subjects’ most difficult moments, and how they get through them. In each, there are also silent reflections, where as an audience we can sit with these women and empathize. We inhale and exhale in tandem. And though they never connect with each other on screen, we connect them in our watching, meaning that ultimately through our observation, we all end up in this together.